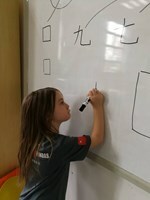 PK is learning Chinese characters. 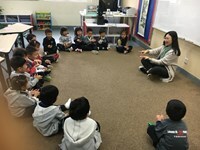 PK got lots of fun with our fingers. 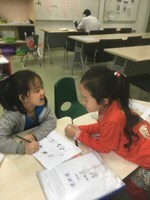 SK is learning fairy tales and doing activities about Mid-Autumn Festival. 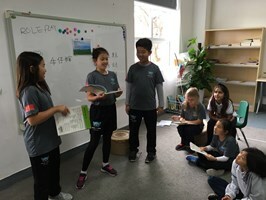 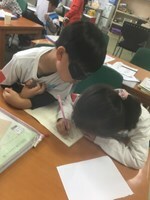 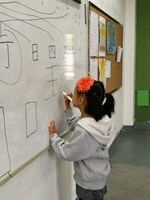 SK & G1 non-native students are learning Chinese character writing seriously. 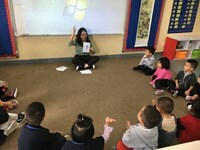 G2-3 students are showing their Chinese “Deng Long” for Mid-Autumn day. 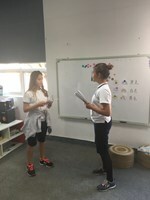 The students are doing role play about shopping. 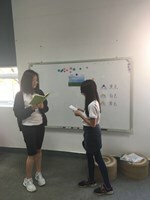 G9/10 students are doing a presentation based on the literary works we’ve learned. 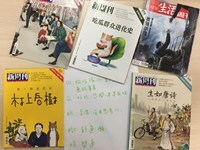 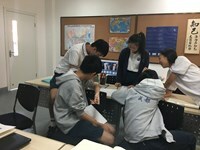 G11 DP Chinese A Language and Literature course students are learning and discussing a variety of texts on the topic of the Unit 1.